SEOUL, South Korea—Kinoton Korea recently outfitted CGV Yongsan with an array of premium HARMAN Professional Solutions cinema audio solutions to ensure immersive sound quality across all of the multiplex’s theaters. As South Korea’s largest cinema chain operator, CJ CGV has a long history of introducing revolutionary innovations in the cinema industry in its home country and abroad. 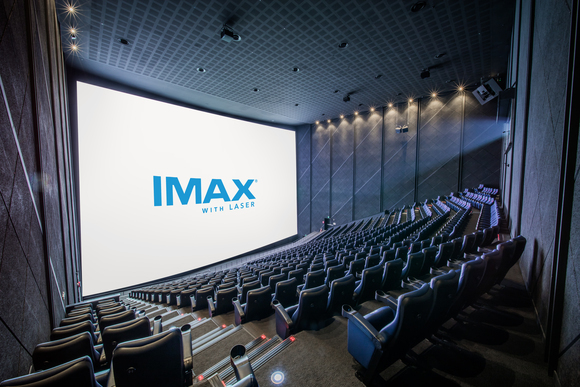 As of October 2018, CJ CGV boasts a total of 3,553 screens at 480 locations in seven countries across the globe and now CGV Yongsan I Park Mall is home to the largest IMAX Screen in the world, measuring 31 metres wide and 22.4 metres high. CGV Yongsan also houses the world’s first 4DX-Screen X combination theater. As part of recent renovations to keep the multiplex on the cutting edge, CGV Yongsan hired Kinoton Korea to replace the theaters’ aging sound systems with state-of-the-art JBL Professional speakers and Crown amplifiers. In order to ensure enhanced soundtrack reproduction with unmatched accuracy, Kinoton Korea outfitted 18 of CGV Yongsan’s theaters with an array of JBL Professional cinema loudspeakers, subwoofers and surrounds. The wide range of JBL speakers enabled Kinoton to tailor the system response to each theater’s unique dimensions and deliver perfect coverage at every seat. For the main front channels, Kinoton installed six JBL 5742 four-way ScreenArray cinema loudspeakers, 30 JBL 4732 three-way ScreenArray cinema loudspeakers and 34 JBL 3731 two-way ScreenArray cinema loudspeaker systems. Kinoton also installed 68 JBL 4642A subwoofers to ensure extended low frequency support. Additionally, Kinoton provided 14 JBL 8320 Compact Cinema Surround speakers, 12 JBL 9300 Cinema Surround speakers and 60 JBL 9310 Cinema Surround speakers to ensure deliver realistic three-dimensional audio. Kinoton powered the speaker systems with Crown DSi Series amplifiers. The reliable performance and onboard digital signal processing of the DSi Series amplifiers match perfectly with the JBL ScreenArray systems.